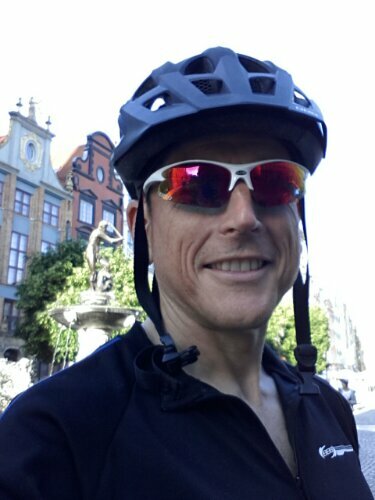 My 11th day was not dominated by cycling. 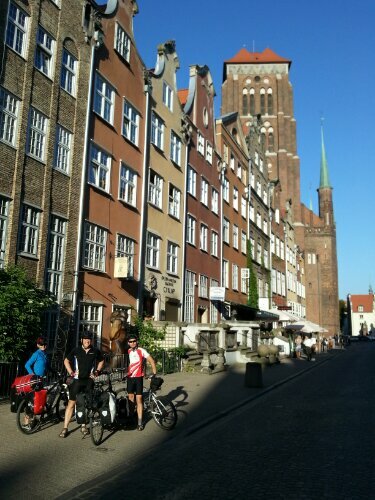 Instead it involved skyping, sleeping, grocery shopping, lieing on the beach in Hel, sharing cycling and life notes with a fellow German/Australian cyclist, meeting two lovely Polish forum people, drinking, dining and sightseeing in Gdansk, oh, and a little bit of cycling. First shopping. Every country had its own selection of chocolate bars. I tried to cover the Polish selection. Next: lying in the beach. 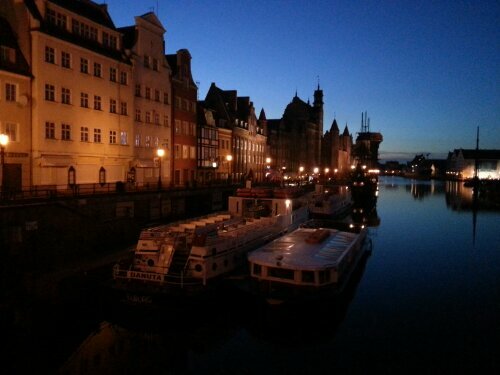 The boat to Gdynia left at 1500. 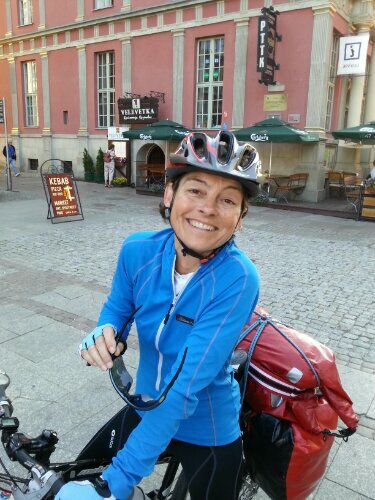 I met Kirstin on that boat – an Australian from Germany who was cycling to Talinn from Hamburg. We compared notes and stories and the time soon flew by. 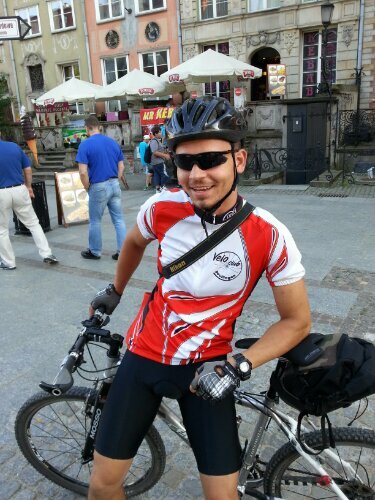 In Gdynia we were met by Rafalb from the Polish cycling forum. 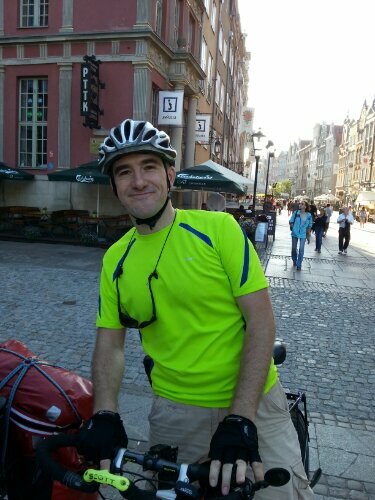 We talked and cycled south where we were met by Simon – also from the cycle forum. 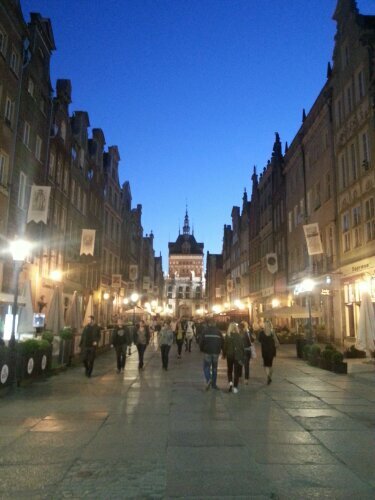 We cycled into Gdansk – a very beautiful city. 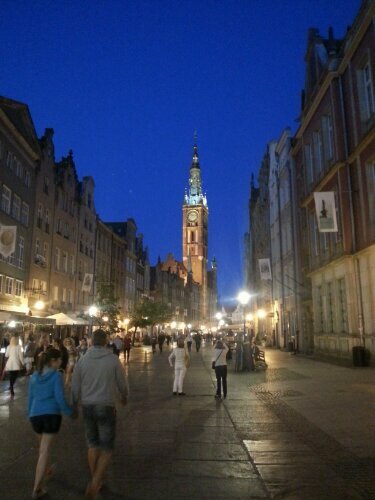 After dinner there was an amazing deep blue light in the sky which made Gdansk simply gorgeous. Here is a link to Rafalb’s blog for the day. 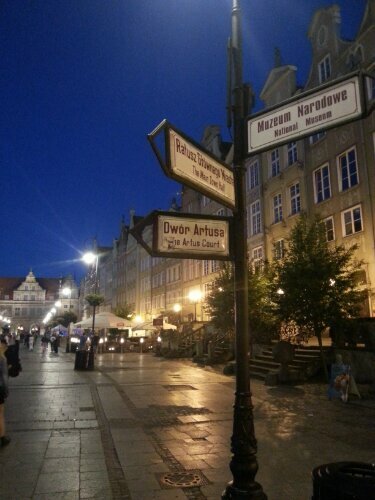 Great to meet you Szymon!